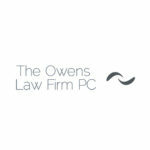 The Owens Law Firm, P.C. is a boutique business law firm with offices in Santa Fe and Albuquerque New Mexico. Committed to providing thoughtful and strategic legal counsel to businesses, emerging companies, technology innovators, commercial interests, real estate interests and investor clients throughout Santa Fe, Albuquerque, and Northern New Mexico.